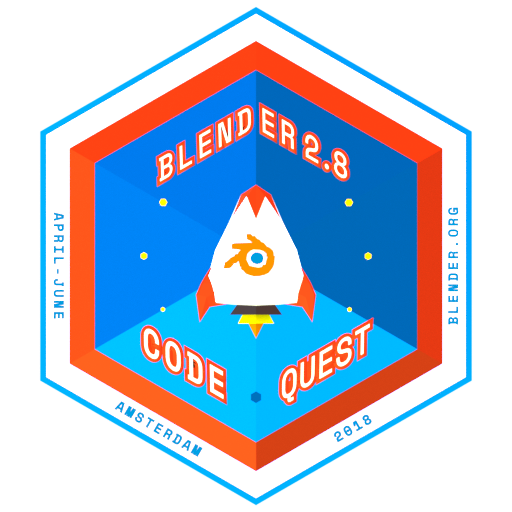 Aligorith's Lair: Blender 2.8 Code Quest - Here I come! That said, I'll have to be honest, and say that the last few weeks (and particularly the last few days) have been a bit of a roller coaster of emotions - ranging from excitement, a good dose of nerves/trepidation, and probably also a hint of the usual pre-trip FOMO on all my favourite home comforts. It's understandable though, considering that this will be longest that I've ever been away from home (previously, the longest trips I've taken were at most 2 weeks, and even those seemed long at times), and to such a far off land. Unfortunately, it's also ended up being a bit of mad dash, scrambling to tick off a long list of things that need to be done. In particular, I've ended up having to bring forward a whole raft of equipment upgrades/refreshes that would have had to happen at some point (but travelling so far means that making do with old equipment isn't really feasible, so I've ended up having to fast-track the commission/setup process, with the added pressure of trying to get everything I need from the old machines onto the new one without accidentally leaving off something, and wishing that I had it). Laters! See ya all on the flip side!